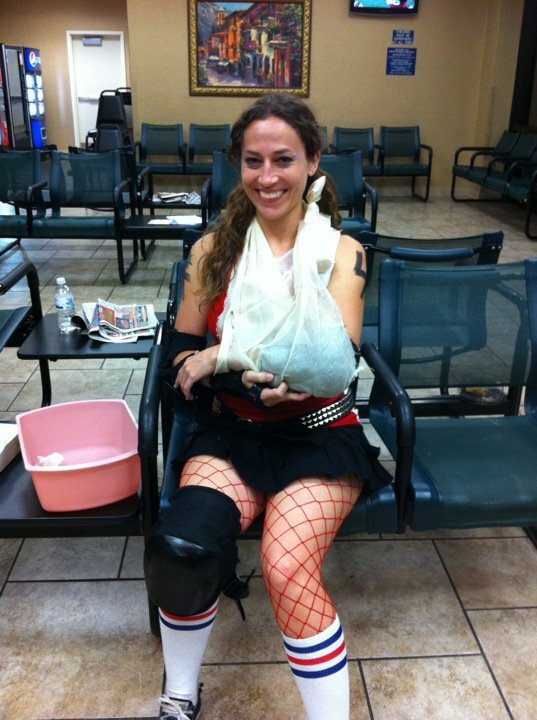 When you join roller derby, you’re fully aware that something could happen to you. 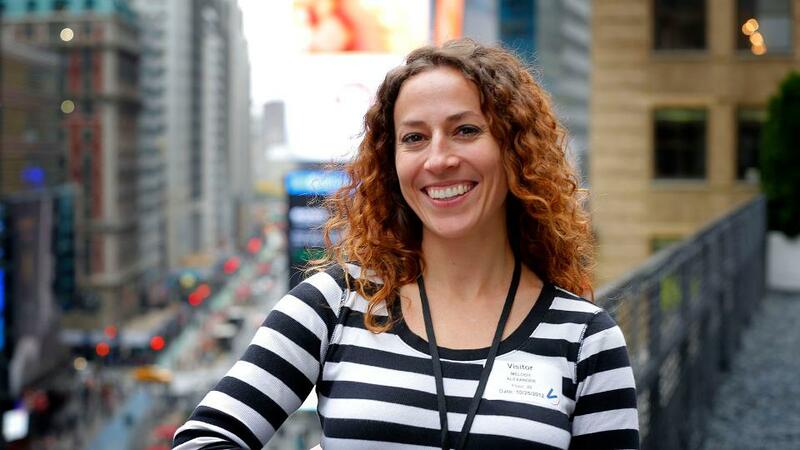 The realities of a broken finger, bruised ribs and a twisted ankle are things you deal with every day. I keep telling people that it’s like the military: you don’t become a Marine or soldier thinking you’ll never go to war. It’s the same way in derby: you don’t put yourself out there if you’re afraid of getting hurt. Still, with all of my out-of-place bones, wheel-sized bruises and visits to the chiropractor, I wasn’t particularly ready for the one that came in our final away bout this past Saturday. With 15 minutes left in the second half, I was up to jam. I got about halfway around the track, and from what I could see in the video I watched later, I went to break through the pack and was wedged between two Route 66 Roller Girls. I remember feeling a big thud and landing on my knees. I stood up and started skating again, only to realize that my left arm was feeling gimpy. When I reached over and felt my collarbone, I instantly knew it was broken. I fell back down to the floor and started tapping my helmet to signal I was hurt. I don’t really remember much after that, except that I heard my teammates cheering for me. 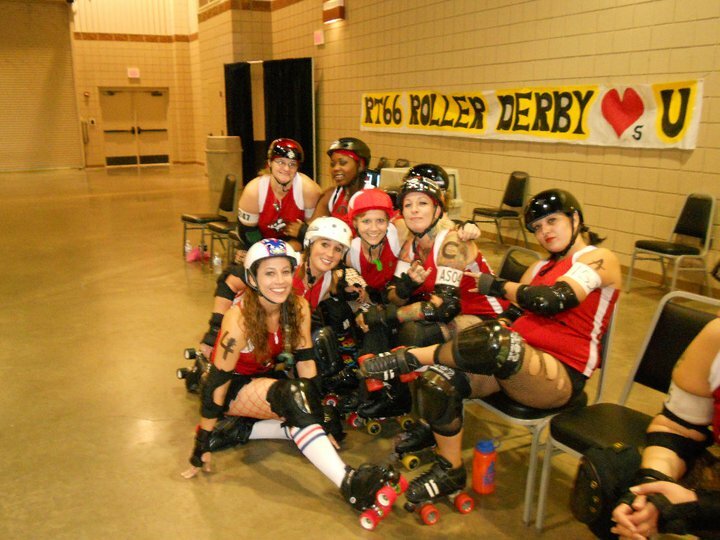 I remember seeing a guy on the track taking photos of me as the announcer said, “This is roller derby, folks. It’s all real.” I had the urge to vomit (which I did) and I wanted to pass out (which I didn’t do). And eventually, I was pulled off of the track and taken to the hospital, where I sat for about three hours before getting checked out. So yes, it hurt. And no, it wasn’t fun visiting an ER in Northwest Texas. But the one question that people keep asking me is this: are you done with derby? And my answer is this: NO FREAKING WAY! Seriously. Derby has saved my soul. The season was almost over, and now I’ve got a fun story to tell. This is only the beginning. You want to know Melody? Take a look at the ER photo. She’s smiling. I can personally attest to how much she’s suffered over the past couple of days…the smile has changed (it’s littler), and sometimes it has vanished altogether. But this is a woman of heart and spirit. Don’t wonder for a moment….